Hilton Sharm El Sheikh Fayrouz Resort is just 12 minutes from Sharm El Sheikh International Airport and offers 210 rooms and suites, a private beach and watersports opportunities. The spacious bungalow-style guest rooms have patios with sliding windows and sitting areas. 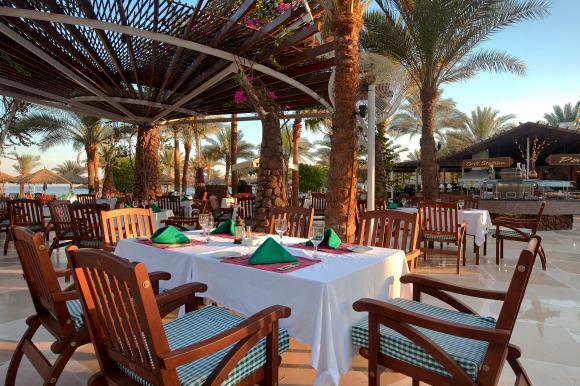 Sit outside in the sun and admire a view of the pool, the hotel’s attractive gardens, or the Red Sea. All guest rooms have internet access and tea- and coffee-making facilities. 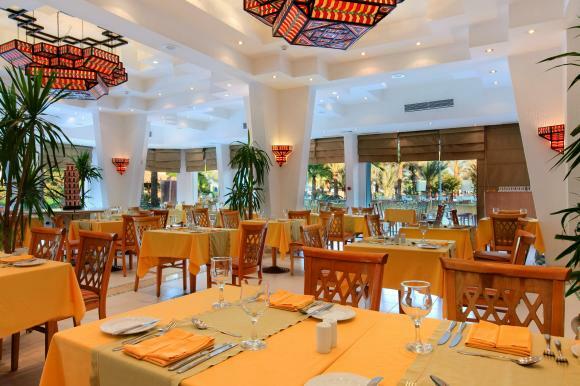 Enjoy a candlelit dinner and live music at the Wadi restaurant at the Hilton Sharm El Sheikh Fayrouz Resort. Choose the Starlight Dinner option for a memorable meal of Mezze and Egyptian classics in the Bedouin style, set against a desert mountain backdrop. Sip a cocktail at Oasis Bar on the private beach or savor a club sandwich at Flambé Pool Bar, whilst gazing at Red Sea views. Sample the freshest fish and seafood at Marhaba Restaurant, and afterwards, try our many flavors of traditional Shisha, while enjoying the live Egyptian singer. Bask in the sunshine at one of four outdoor swimming pools or take some exercise in the hotel's fitness center. Challenge family and friends to a game of tennis or simply relax with a specialty spa treatment.